All good things must come to an end, and it’s a shame that it’s looking like this might be more than a season finale for Trial & Error. If this is the final ending for this great show, at least it’s a stellar one. Trial & Error: Lady, Killer is the second season of Trial & Error, a comedy mockumentary created by Jeff Astrof and Matt Miller, and follows lawyer Josh Segal (Nicholas D’Agosto) and his associates, Dwayne Reed (Steven Boyer) and Anne Flatch (Sherri Shepherd), as they defend someone from murder charges being brought about by Carol-Anne Keane (Jayma Mays). In these episodes, Josh is trying to prove that Jesse-Ray Beaumont (Michael Hitchcock) wasn’t responsible for the murder of Lavinia Peck-Foster’s (Kristen Chenoweth) brother, Chet, and that it was really Lavinia who was his murderer. 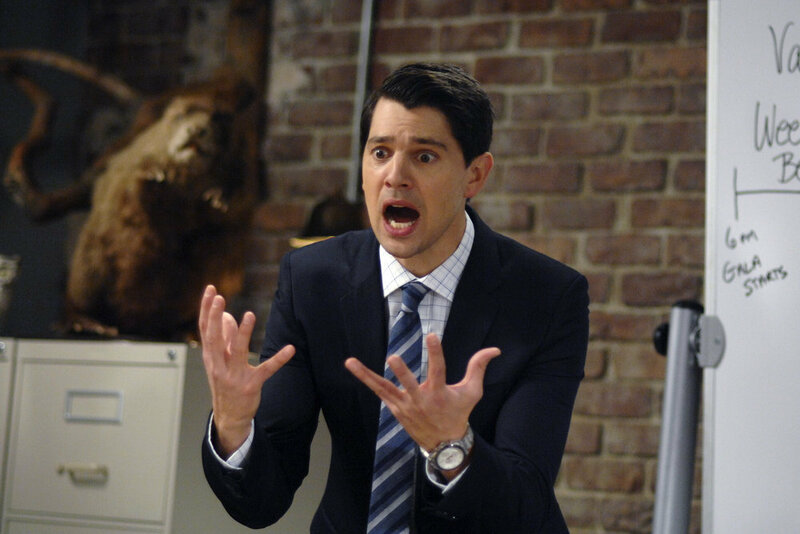 Tonight’s episodes of Trial & Error: Lady, Killer were unexpected in the best possible way. It would have been so easy for the show to just do what it did last year and have the trial last the entirety of the season, but nope. That’s too easy for this team and Trial & Error is a better show because of it. Created by Jeff Astrof and Matt Miller, Trial & Error: Lady, Killer follows the fictional trial of Lavinia Peck-Foster (Kristen Chenoweth) as she’s defended from murder charges by lawyer Josh Segal (Nicholas D’Agosto) in the town of East Peck, South Carolina. A good ongoing mystery show is only as good as its twists, turns, and red herrings. Trial & Error: Lady, Killer continues to provide us with countless twists and turns and cliffhangers. Created by Jeffrey Blitz and Matt Miller, Trial & Error: Lady, Killer is the second season of NBC’s true-crime satirizing comedy Trial & Error. 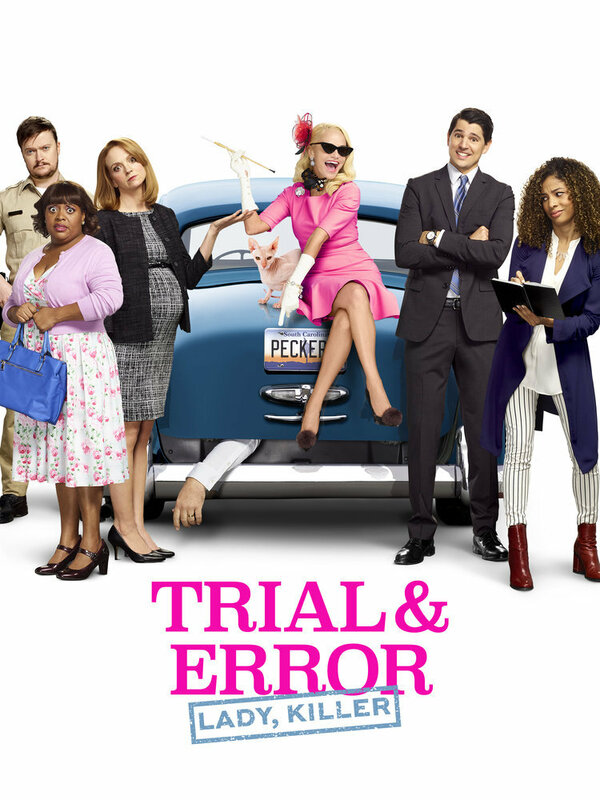 This season follows the trial of Lavinia Peck-Foster (Kristen Chenoweth) as Josh Segal (Nicholas D’Agosto) and his Associates (Anne (Sherri Shepherd) and Dwayne (Stephen Boyer)) defend her against prosecutor Carol-Anne Keaton (Jayma Mays). NOTE: There will be spoilers for episodes 3 and 4 of Trial & Error: Lady, Killer. It may be more than a year after the first season of NBC’s Trial & Error finished airing, but the second season makes it feel like no time has passed. Season 2 of Trial & Error is a perfect continuation of the first season in every way and the writers and directors haven’t missed a beat. Trial & Error is a comedic anthology series that follows defense attorney Josh Segal (Nicholas D’Agostoa), and his associates: Dwayne Reed (Steven Boyer) and Anne Flatch (Sherri Shepherd) as they go toe-to-toe against town prosecutor Carol Anne Keane (Jayma Mays) in a new murder trial in the small town of East Peck, South Caroline. This season’s defendant: Lavinia Peck-Foster (Kristen Chenoweth), First Lady of East Peck.